Every artist has their medium. 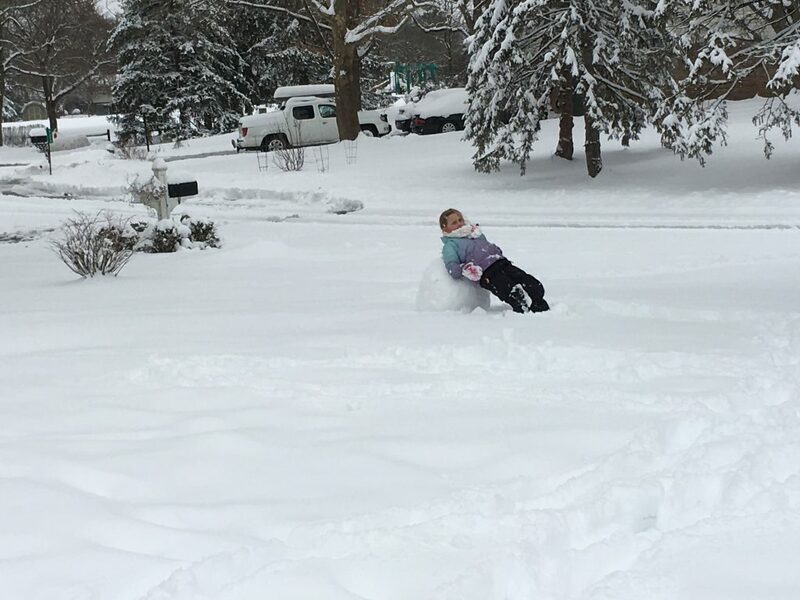 Snow is not my daughter’s. My theory (based on the current state of her basement art studio), is that snow is too monochrome (#FFFFFF is sooo pedestrian). Yet this irritates me, probably due to my own childhood memories. Texas didn’t offer much in the way of snow, and as our culture as a whole is heavily influenced by the Midwest and New England and their associated images of holiday blizzards, Christmas time always carried with it a bit of melancholy as I peered out the window across a wind-swept and barren Dust Bowl landscape. I never once rode a sled in my childhood, and on only one notable occasion do I remember building a snowman (to which my dad added breasts, followed by mom administering a mastectomy via garden trowel). But the joke’s on this youngest generation. Climate change will either warm the region beyond the point of regular snow, or cool it to the point that it destroys us. Either way, those quaint Rockwellian scenes will vanish alongside the planet’s biodiversity. And I, Dad, will mock my child for her youthful indifference. A pretty young woman smiled at me in the grocery store. This is noteworthy for a couple reasons. Firstly, it’s rare that anyone makes eye contact with me. Sure, I could bemoan the sad state of our current society, wherein we shun our fellow humans as simple and inconvenient co-habitants of the environment, but I doubt that the explanation is so simple. Perhaps it’s because we work ourselves to exhaustion and simply don’t have the mental reserves to allocate to simple camaraderie–or by the same argument, we don’t have enough time. Second, based on simple observations of a personal lifetime, it’s rare that women in passing find me terribly attractive, or (as it’s been mentioned on one particular account) approachable. Maybe I should shave the mustache? Nah. In any case, the scenario usually plays out as me approaching a woman’s proximity for unrelated reasons, at an indirect vector, and I–being cognizant of another sentient being, offer the most basic of friendly gestures–a smile. But rarely is this sentiment properly delivered, for the woman never acknowledges my own existence, and even seems to make a conceited effort to avoid the mere awareness of another living being. Ah well, that’s par really. But a pretty young woman smiled at me! Why would she do such a thing? Did she need assistance? No–she was merely pushing a cart. And I didn’t have the kid with me (which is generally the only time women acknowledge me). Could it be possible that she felt a simple and basic connection to another living being? There’s more to this. Let’s figure it out! I didn’t have time to take a cursory glace at her cart’s contents, but she had chosen the full-sized version. Was she shopping for her family? She was on the cusp of being too young for me, and usually women that age aren’t performing full grocery runs. Maybe she was practically frugal? I dunno. I don’t have enough information to make a proper analysis, and all conclusions are mere conjecture. Maybe it was the mere sight of a well-dressed man approaching her. Could it be so simple? Was it possible that there were other women in the world who found me not only mildly attractive at first glace, but also approachable–enough to risk encouraging me? Perhaps she merely felt basic empathy for her fellow humans. I’m no stranger to isolation, and the detrimental consequences of extended solitude. I recall my clinical psychology course in college, which recounted the sad tale of a lonely man who’s last written words were that he was headed to The Bridge, and if just one person would smile at him during his journey, he wouldn’t jump. Things did not work out so well. Not one soul in San Francisco between him and the apex of the expanse bothered to acknowledge him. Maybe this woman was aware of this story. Maybe she knew the power of a simple gesture–the way it flooded my neurons with dopamine and brought me momentary peace and contentment. I longed shake her hand or proffer a high-five–some minimally-invasive action that would allow me to perceive her existence in a tactile manner, to prove and acknowledge that she was the tangible being that brought me so much ephemeral joy. Maybe she was the one on the bridge, reaching out to someone in the most subtle of ways–too afraid to do more–crying out to a world that doesn’t care if we continue to exist. I should do something. A pretty young woman smiled at me! I didn’t do anything. I thought for so long about the encounter’s implications that we passed, and I never even smiled back. One word defines a universal human desire, and no…it isn’t that. Nay, ask anyone, and if the conversation goes on long enough, the human wants distill down to a state of being: happiness. It’s a nice thought, to believe we could so easily be satisfied by an abstraction, but we’re not. The human mind isn’t designed to operate under such a condition long-term. What we inevitably achieve is equilibrium. The happiness, once it endures, invokes an emotional tolerance, and the state of dopamine falls back to its basal condition. 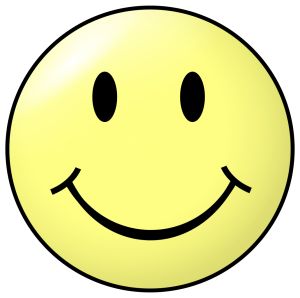 We don’t remain happy–we feel it momentarily, then subside back to normalcy. It’s why rich people complain. They no longer appreciate the mansion–they feel the same irritations at trying to find a reliable pool boy who won’t sleep with their wife as a commoner would feel about an old car’s transmission giving out a week before Christmas. Conclusion: we as a species cannot maintain a state of positive emotional elation. My father came down to visit, and as we often do, we concluded the day with a bottle of bourbon and a fire. Such conditions, offering the momentary escape from distraction, invariably lead to philosophical pontification, partly due perhaps from my need to still irritate my dad, and partly because no one else will discuss such matters with me. Dad, the professor ecologist; and myself, some type of amateur philosopher (or so he fancies himself) who found himself abruptly forced into the misery of underemployment–share a surprising amount of philosophical viewpoints. But on this particular occasion, we were arguing over humanity and just how unique the species really was in comparison to the rest of the planet’s fauna. I was under the belief that our uniqueness was based in our sentience, and that humanity’s existence was an evolutionary anomaly, mathematically so remote from possibility that, while I never seriously considered the validity of the Intelligent Design theory, found myself attracted to it perhaps due to the romance in believing we were special. Dad, the pure scientist, disagreed, stating that my argument was flawed with my presumption that sentience was unique to humanity. He argued that sentience was implied by an animal’s understanding of mortality, as an elephant visits the gravesite of another elephant. I argued that since we’re limited in our capacity to communicate with other animals, we wouldn’t know for certain. Dad argued that understanding death correlates to an understanding of the existence of the self. I remained dubious, but it was the best argument I had heard yet for the defense of an animal’s self-awareness. But regardless, there’s no argument against the uniqueness of humanity. If dad was right, however, then what is it that defines us? And if all animals are self-aware, why are humans the only ones who advance and adapt at such a fast pace, seeing as our survival no longer depends upon it. Like all animals’ physical evolution, ours hasn’t proceeded at a drastically different rate. And the brain size theory falls through, because we don’t posses the largest brains to body size ratio of all the known animals. I can only conclude, therefore, that something in our physiology drives us to seek another emotional state. And the desire for a different emotional state only makes sense if the current emotional state is undesirable–if it’s unhappy. Conclusion: we’re all a bunch of miserable people, and that’s normal. I find this theory to be more relieving than disparaging. It gives purpose to unhappiness. Were I content at any point, I would have stagnated in my career and not started a family. These are rather minor accomplishments in humanity’s greater history, true, but I find that autobiographers rarely dwell on happy moments, and any such moments, when mentioned, never correspond to major events. Happiness is an effect, not a cause. The elephant, whether self-aware or not, doesn’t seek to become more than an elephant because it’s content with being an elephant. My dog runs through the backyard, visibly happy with her present circumstances, and remains content to be a dog. The human, on the other hand, is not content to simply survive as a human, but seeks self-actualization. In our actions we are unique, and while it may not be a direct cause of self-awareness, I can most certainly attribute it to our general emotional unrest. We’re unhappy, we’re supposed to be unhappy, and this unhappiness motivates us to accomplish the next best thing tirelessly. Be happy that you’re unhappy. 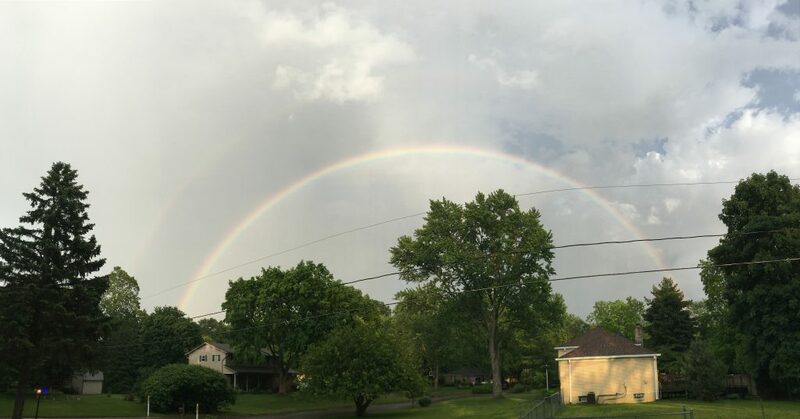 Our Memorial Day weekend campfire got postponed a day on account of more rain, but we received our first double rainbow of the year as a result.